Vice minister of science and technology Xu Nanping told state broadcaster CCTV his ministry is strongly opposed to the efforts that reportedly produced twin girls born earlier this month. Mr Xu called the team's actions illegal and unacceptable and said an investigation had been ordered. Researcher He Jiankui - dubbed "Dr Frankenstein" - claims to have altered the DNA of the twins to try to make them resistant to infection with the Aids virus. There is no independent confirmation of what Mr He says he did. He has said a second pregnancy may be under way. Mr He's experiment "crossed the line of morality and ethics adhered to by the academic community and was shocking and unacceptable", Mr Xu said. A group of leading scientists gathered in Hong Kong this week for an international conference on gene editing - rewriting the code of life to try to correct or prevent diseases. Although the science holds promise for helping people already born and studies testing that are under way, a statement issued by the 14-member conference leaders said it was irresponsible to try it on eggs, sperm or embryos except in lab research because not enough is known yet about its risks or safety. 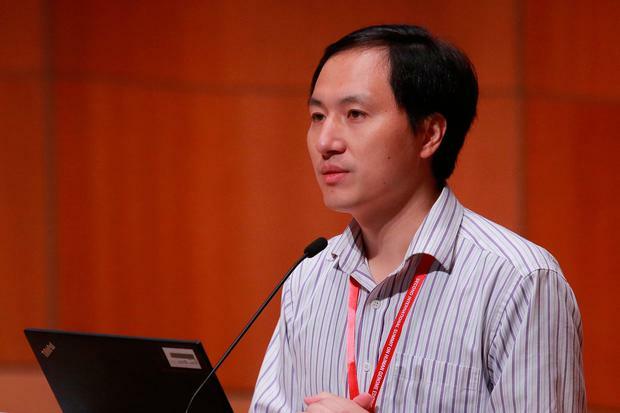 The conference was rocked by the Chinese researcher's claim to have helped make the world's first gene-edited babies. Conference leaders called for an independent investigation of the claim by Mr He, with international criticism of his claim mounting. He was scheduled to speak again at the conference yesterday, but he left Hong Kong and through a spokesman sent a statement saying: "I will remain in China, my home country, and co-operate fully with all inquiries about my work. My raw data will be made available for third party review." "It's not unreasonable to expect the scientific community" to follow guidelines, said David Baltimore, a Nobel laureate from California Institute of Technology. Gene editing for reproductive purposes might be considered in the future "but only when there is compelling medical need", with clear understanding of risks and benefits, and certain other conditions, said Dr Victor Dzau, president of the US National Academy of Medicine.